The cast of Lifetime’s “Pajama Friends” talked about their strengthening friendship. “Pajama Friends” is a reality program about four women who work in different fields in the industry and them enjoying hotel vacations together. 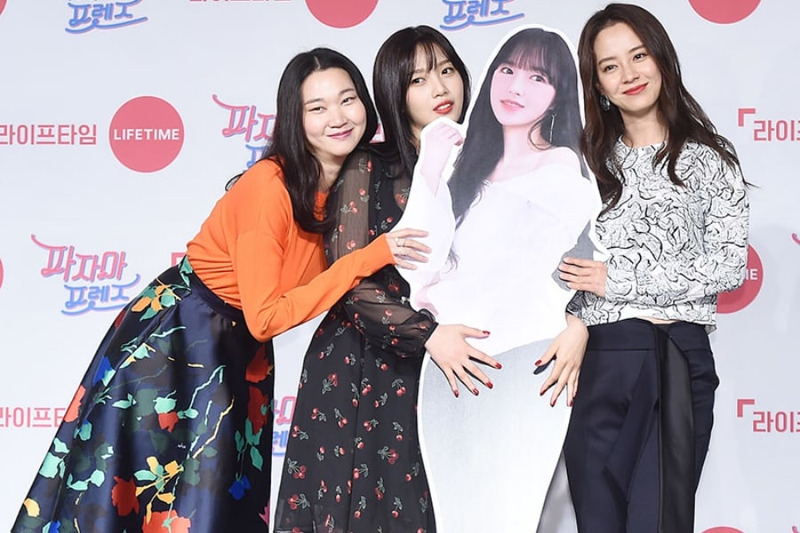 On September 14, a press conference was held for the new reality show with Jang Yoon Joo, Red Velvet’s Joy, Song Ji Hyo, producing directors (PD) Kim Joo Hyung and Yong Suk In in attendance. Cast member Cheng Xiao of WJSN was unable to attend due to an scheduled overseas event. Song Ji Hyo added, “I’m the type to be shy, but I have the ability to get close to someone after spending time together for a night. We were awkward at first, but okay the next time and I think our relationships are getting stronger. It’s now fun to the point where I look forward to our next day of filming.” Joy also said that she relied on Jang Yoon Joo a lot. Jang Yoon Joo commented, “Since I’m married and have a kid, they listened to me well and I wanted to give generously if I could give them something. Song Ji Hyo is easygoing in a way that’s not like a celebrity and she’s also pretty. She’s comfortable like a stone Buddha statue.” Jang Yoon Joo also praised Joy, saying that she was deep. “Pajama Friends” will premiere on September 15 at 11 p.m. KST.